2. Add soy sauce, until sauce is evenly mixed. 3. Heat 1 1/2 teaspoons butter in a large skillet over medium heat; saute onion for 2 minutes. Add coleslaw, garlic, and ginger; saute until fragrant, about 5 minutes more. Add the remaining 1 1/2 teaspoons buter and quinoa; cook until heated through, about 2 minutes. 4. 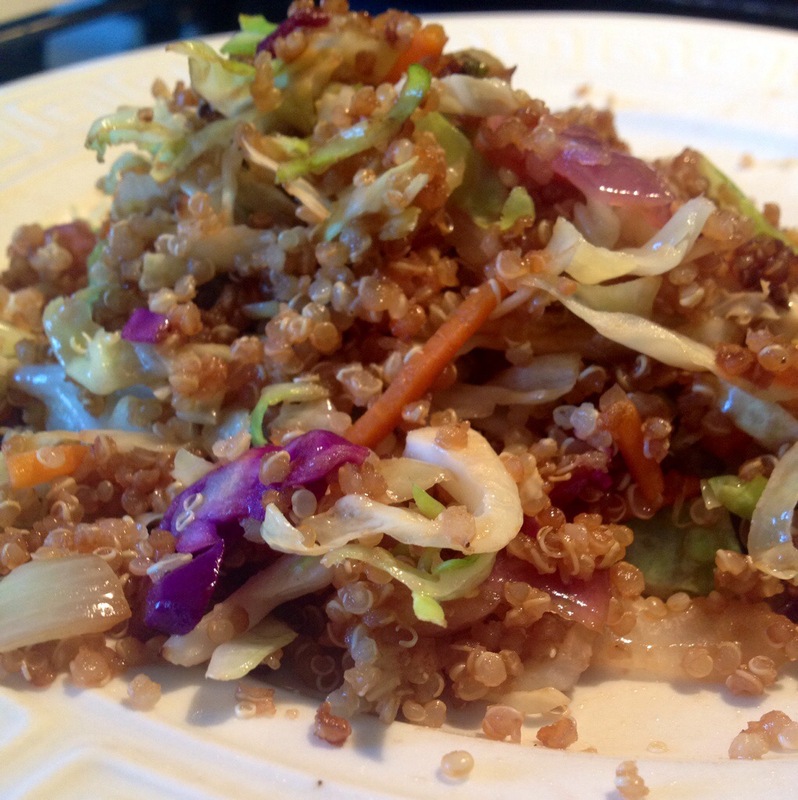 Stir sauce into quinoa mixture; cook and stir until evenly coated, about 2 minutes. 5. 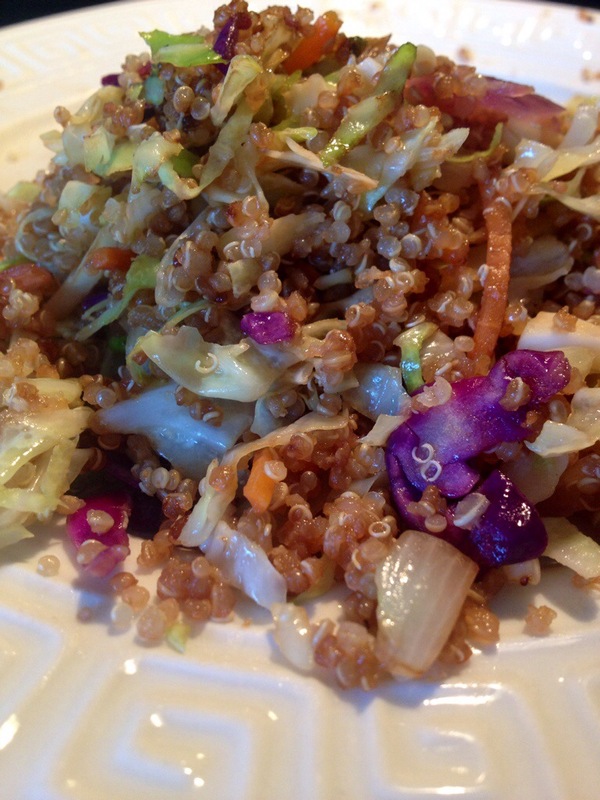 Make well in the center of the quinoa mixture. Pour eggs into the well; cook and stir until eggs are scrambled and cooked through, 2 to 3 minutes.